1. 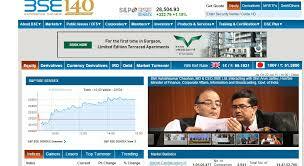 Graphite India Ltd is a 2 rupee face value diversified Industrial goods company. 4. Year high of Graphite India Ltd is 113.40 and year low 64.05 this ratio is below 2 as I described in my book you can read more details here " Research Reports Terms of Mahesh Kaushik "
5. Net sale per share in FY 14-15 is 76.63 , So CMP is below then net sale per share. 7. Graphite India Ltd pay 2 per share dividend in 2015 and 3.5 rupee share in earlier years. 8. Base Price of Graphite India Ltd is 83.76 so our buying is far below from base price. 9. Promoters of Graphite India Ltd hold 65.25 % (increase from 65.10%) FII hold 12.71% DII hold 5.61% with no any pledged shares from promoters. 12.Discloser:- I Mahesh Chander Kaushik author of this research report is an existing research analyst and passed NISM certification for research analysts. I am also registered under SEBI(RESEARCH ANALYSTS) REGULATIONS, 2014 ( SEBI Registration Number INH 100000908 ) hereby disclose about my financial interest in the subject company and the nature of such financial interest:- 1 Me and my associates or relatives have not hold any share of Graphite India Ltd so my personal interest is not included in this stock. 2. Me and my associates or relatives have not any actual/beneficial ownership of one percent or more securities of the subject company ( Graphite India Ltd ). 3. Me and my associates or relatives have not any other material conflict of interest at the time of publication of the research report. 4. Me and my associates or relatives have not not received any type of compensation from the subject company( Graphite India Ltd ) in the past twelve months. 5. I am not served as an officer, director or employee of the subject company( Graphite India Ltd ). 6. I have been not engaged in market making activity for the subject company( Graphite India Ltd ). 1. After Scanning 100' S of stocks finally I find MMTC Ltd which fulfilled all of my stock screening criteria s and may be a best long term value buy for all of my followers. 2.MMTC LIMITED is India's Largest international trading company and this is interesting to knew that price of MMTC is INR 10 in 1999 and INR 56,931.50 in 2007. ( In 2010 stock of MMTC is spilt from 10 rupee face value to 1 rupee face value so adjusted all time high price after stock split is 5693.15). This is the reason that why I say every price is possible in stock market. 3. MMTC Ltsd is a 1 rupee face value stock. 4. Promoters of MMTC hold 89.93 % stake of MMTC ( MMTC is an govt of India enterprises so president of India is the promoter of MMTC) FII hold 0.15 % stocks and D II hold 6.06 % stack in MMTC. 6. MMTC is a dividend paying company here is past dividend history of MMTC. 7. MMTC net sale per share for FY 14-15 is 180.82 So net sale per share per year is below then CMP. 8.MMTC Year high was 80.70 and year low was 41. 50 , So this year high/ year low ratio is Below 2. 10.No any bulk deal was recorded in last 2 year so this is the sign of price stability. 10.Discloser:- I Mahesh Chander Kaushik author of this research report is an existing research analyst and passed NISM certification for research analysts. I am also applied for a grant of registration under SEBI(RESEARCH ANALYSTS) REGULATIONS, 2014 hereby disclose about my financial interest in the subject company and the nature of such financial interest:- 1 Me and my associates or relatives have no any stocks of MMTCLtd company so my personal interest is not included in this stock. 2. Me and my associates or relatives have/have not any actual/beneficial ownership of one percent or more securities of the subject company(MMTCLtd). 3. Me and my associates or relatives have /have not any other material conflict of interest at the time of publication of the research report. 4. Me and my associates or relatives have/have not not received any type of compensation from the subject company(MMTCLtd) in the past twelve months. 5. I am not served as an officer, director or employee of the subject company(MMTCLtd). 6. 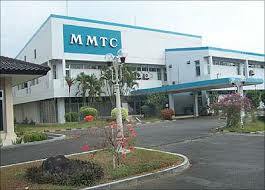 I have been not engaged in market making activity for the subject company(MMTCLtd).